Yep, new parenthood brings about quite a lot of swag! Obviously, you’re not having a baby to get free stuff but it sure is nice when companies offer free stuff for new moms as a CONGRATULATIONS on your newest family addition! There’s no catch to all these free items….you do have to pay shipping on some and others like you to opt in to their marketing– which I think is fine because they want to send you all sorts of coupons and goodies….but I’m not listing anything here that would require you to do x number of things before they send you something or make you sit through a grueling 18 hour timeshare presentation or anything like that….it’s just cool free stuff for new moms. This is my free gift to you!! Use this free printable set to get ready for baby! There’s clothing size hang tags for organizing all those adorable clothes, milestone images to print out and take photos with baby, the monthly numbers for age pics, and door hangers reminding people to stay quiet. I hope you enjoy!! This is my absolute favorite freebie for moms! Grove Collaborative gives all new moms a free full size bottle of Seventh Generation hand soap AND a $10 gift card to use on anything on their site just for giving them a try! I personally LOVE Grove Collaborative because they offer free shipping on my favorite products and I never have to worry about running out. They send me an email reminding me it’s time to order again….this has saved us so many times from running out of baby shampoo and toddler toothpaste!! Create your baby registry on Amazon and once $10 has been purchased from the registry you’ll get your FREE Baby Welcome Box with all sorts of goodies. The typical box is valued at $35! Aeroflow Breastpumps specializes in helping pregnant and nursing women get their breast pump through insurance. They take care of the entire process, from filing the insurance claim to helping mom choose the right breast pump for her lifestyle and shipping the pump right to her door. Their team values the individual and work to determine exact coverage and benefits based on your specific insurance plan so that you get the best breast pump to make your breastfeeding experience a positive one. Aeroflow Breastpumps takes the hassle and confusion out of the process so mom can relax and prepare for her new baby. The cool thing is, they are always running awesome sales on their shoes so when you’re ready for more just look around for discounts. Custom Pacifiers has the most adorable pacifiers I have ever seen! In fact, I typically buy several of these as baby shower gifts because they are so adorable! You can grab 3 of them absolutely FREE– just pay shipping. This a site to help women that are pregnant and women that already have children find awesome deals on all baby related necessities. You’ll find great buys from diapers to furniture and compare services like day care and caterers. Share ideas, get advice and shop for all baby related products and services. Simplify creating children by having a support group of new moms. Get the inside story on all the latest moms-to-be trends and gain access to unbelievable mother’s sample sale shopping and events. Elite New Moms helps its members discover ways to better prepare for children. It’s a place to get to know each other, make motherly plans and connect with women who are also preparing to give birth. 5 FREE Baby Board Books Use code SS4free and you’ll receive 4 adorable baby board books for free….just pay shipping. These books are so cute and perfect for little eyes! You can never start too early with reading to baby! FreeTime Unlimited is fantastic if you have kids already!! I was able to give my 3 year old his tablet with FreeTime on it and let him play while I would rest on the couch recouping from morning sickness. Then, after baby sister arrived, he would play with it in bed while baby and I would nap. I love that so many of the apps are educational…but I really love that they’re all FREE! So he can play and I don’t have to worry about ads popping up or him trying to buy something! Little Fans has all sorts of licensed baby gear…whether you’re looking for NCAA, NFL, MBL, etc. you can find plenty of goodies for your littlest fan. Hubs is a total Gator fan- he went to UF for college so we watch every single game and the kids are always decked out in full on Gator gear whenever it’s game day. Just for being a new mom or mom to be you get $35 to spend at Little Fans…happy shopping!! Simply use code BABYLOVE1 at checkout. Canopy Couture is giving away car seat covers…which I believe is a necessity for ALL new moms. There’s something about a baby that makes random people think it’s okay to reach in and touch your child…this mama says “HEEEEEEECK NOOOOO”. There are too many germs out there to let your new bundle of joy be exposed to. That’s why I love car seat covers! These are great for when you’re out and about with baby. You simply cover them up and people just assume your little one is napping and they pretty much leave you alone…not to mention it’s a pretty darn good barrier to keeping germs out! You can grab one of the basic freebie ones or upgrade to a fancy one for just a few dollars…either way you’ll get $50 toward the Canopy Couture Cover of your choice. Canopy Couture has tons of choices including sports teams, super heros, minky soft, and trendy styles. Check them out and use code MOM2BEFREE for your free cover! You can’t really have too many nursing pillows! I would keep one in the car, one in the living room, one in my bedroom, and one in the baby’s room. Yes, I’m a nursing pillow addict! But, they made nursing my little girl so easy and comfortable– plus, who wants to run upstairs with a screaming hungry infant to grab the nursing pillow?! When I was pregnant I was too sick and tired to read but I learned that audio books were the way to go! I could listen to audio books while doing the dishes, cleaning laundry, or laying down relaxing. I always though audio books would be the boring monotone books my grandparents would listen to…but time have changed and they’re fantastic! The narrators really bring the stories to life! Sign up for your Target Baby registry online then head to the store and scan everything you could possibly need or want for baby. Close to baby’s due date anything that hasn’t been purchased from the registry you can get an EXTRA 15% off. Yes, this discount stacks with your RedCard discount, the CartSaver App, and physical coupons. You can save some serious money!! Get an EXTRA 5% off all purchases with the Target RedCard Credit or Debit cards! You’re going to use your debit card anyway so why not just save the extra 5% and get the RedCard debit?! I LOVE these reusable cotton breast pads! I used them every single day! Even if you’re not planning on breastfeeding…you’re going to need breast pads for when your milk comes in! Although, I highly suggest breastfeeding….even if you have to supplement with formula like I did. Breastfeeding gives your baby such a healthy start in life… there are numerous benefits for both mom and baby…but I’m not preaching right now. These breast pads are great because you get 10 pairs for less than what a box of disposables would cost you! Make sure you use code “MOM2BEFREE” at the checkout for the discount. Can you believe nursing covers cost about $30 each in the store!! It’s crazy, luckily Udder Covers offers this freebie nursing cover for new moms. This is another item that I like to have stashed everywhere– I keep one in the car, one in my purse, one in the living room, etc. The BEST item I bought at the beginning of my pregnancy!! Wear your favorite jeans longer into your pregnancy and for the in-between sizes after pregnancy. And, it’s a Godsend during those last 8 weeks or so when NOTHING fits! By the time the last month arrived of my pregnancy I felt like all of my shirts were way too short– but I was able to slip on the belly band and not worry about it. Go get yours for free– just pay the shipping! Use code MOM2BEFREE for $40 off your order. Anyway, you can get $60 worth of HotHips absolutely FREE, you just pay for the shipping. Use code BABYLOVE1 for $60 off your order. Keep the memories in reach with this free photo album from York Photo! I had a friend take her pregnancy notebook and upload it to make a lasting book that she was able to refer back to when her 2nd and then 3rd baby was born. Plus, she now has a really nice keepsake to give her daughter when she grows up and has her own baby. She’ll know what to expect straight from her mom’s pregnancy book! I’m all about babywearing…even now that my daughter is over a year old I still wear her most of the time. These are great for a quick trip to the grocery store…you’re hands are free and baby is happy. Because if your baby is anything like my little girl she’ll want to be carried…all…the….time! Use code “SAS15” to get it for free when you pay for shipping. You can redeem your points for fabulous rewards including adorable toys, educational books, strollers and of course, gifts to spoil mom! 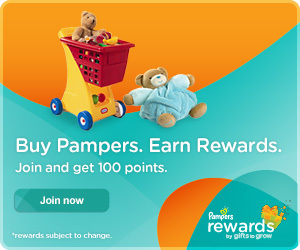 So join Pampers today and receive 100 points as a bonus welcome gift. Hooded Towels is giving all new moms their first towel for free. Check out all of their fun designs and choose your favorite…just pay shipping! When Miss Jellybean started crawling the poor girl would get her knees all scratched up. So I ordered these leggings and not only are they super cute but they protect her knees as well. They have SUPER cute leggings for girls and boys too! Use Code MOM2BEFREE for your 5 free pairs of baby leggings! So there you have it– my list of cheap and free things for new moms….I’m always adding new deals as I find them so check back regularly.